If you still consider that the jewelry is only suitable for women, you should reexamine your point of view now. 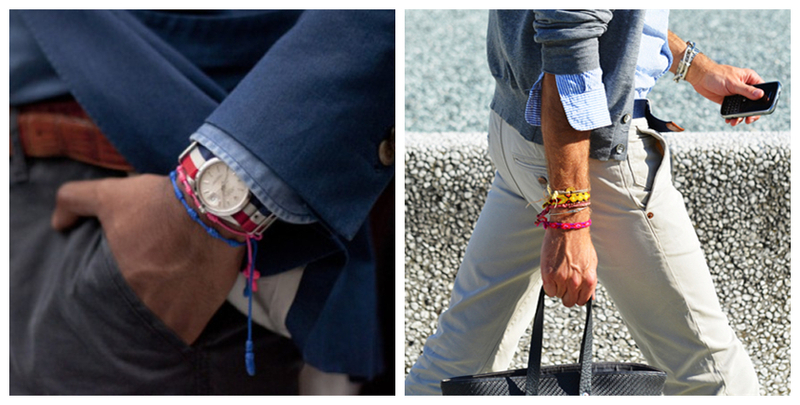 As for men, it appears to be a little bit strange that to put on the colorful bracelets. However, as a matter of fact, there have been more and more fashion men who accessorize themselves with attention-grabbing jewelries. 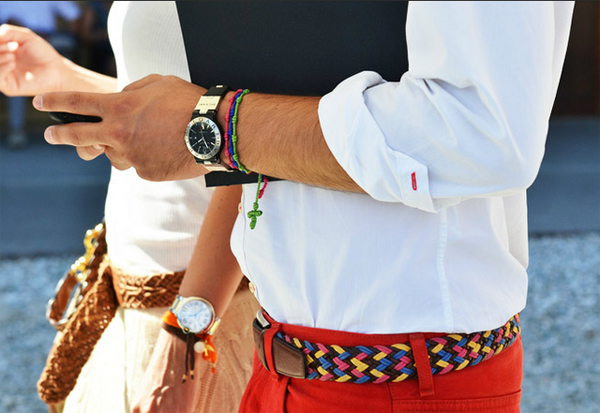 As you are able to find out from the street snaps which are taken in last few years, there are colorful bracelets which have shown up with fashion men. 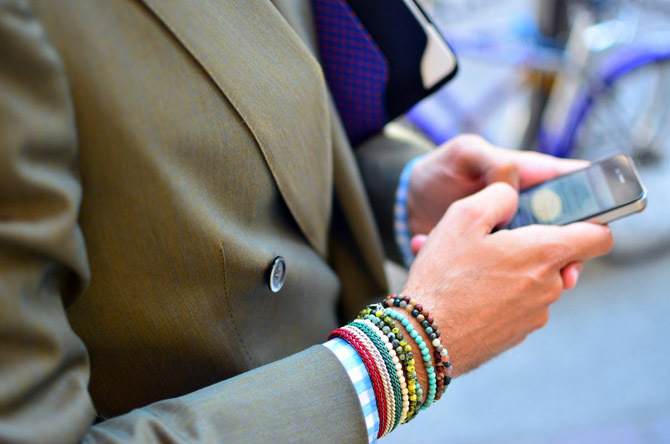 To accessorize men with the colorful men bracelets has become the latest trend somehow, and I would love to show you how to become a head-turner with those wonderful bracelets. I love guys in their three-piece suit which make them look gentle and cute. 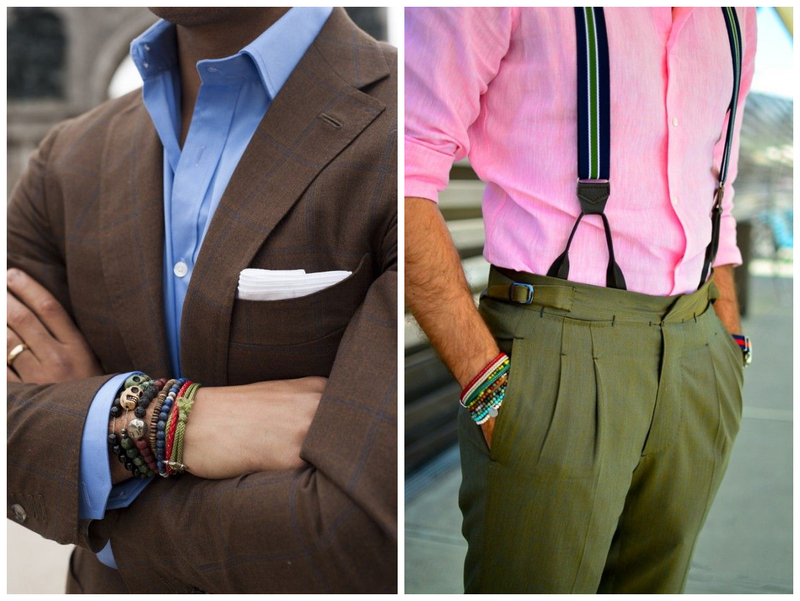 However, wearing three-piece suit seems to be a little bit dull, so it’s a great way to show your personality by wrapping your wrist with the colorful PU leather cord bracelet. To add some contrasting colors to your outfit could be certainly great to bring you good mood from the beginning of the day. Do you think that pink color is for chicks? It is, but it’s for dudes as well. To some extent, it’s totally true. You should take a look at these stylish men who accessorize themselves with pink color, and a pop of pink color does catch my attention at the first sight. Aside from the woven bracelets, the one that could refine your classic look will be the beaded bracelet. Stylish men love to stack all kinds of bracelet, and I have the special love the turquoise, which is very fashion in the color that is similar with the mint green. 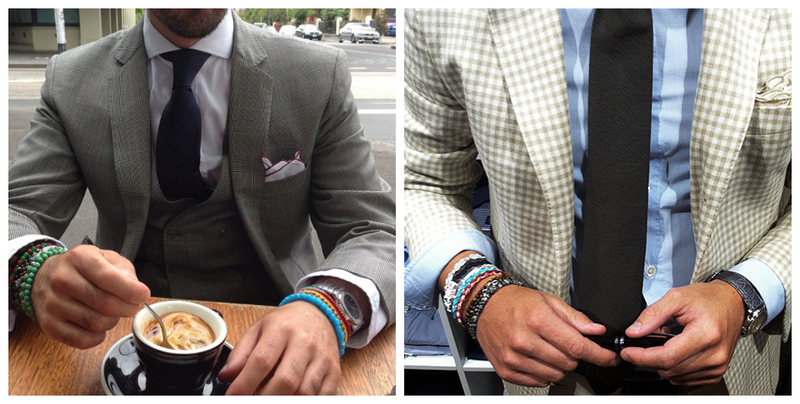 After all, to get your wrist covered with colorful bracelets is an opportunity to enhance your personal style. Now it’s time for you to get yourself those eye-catching bracelets.